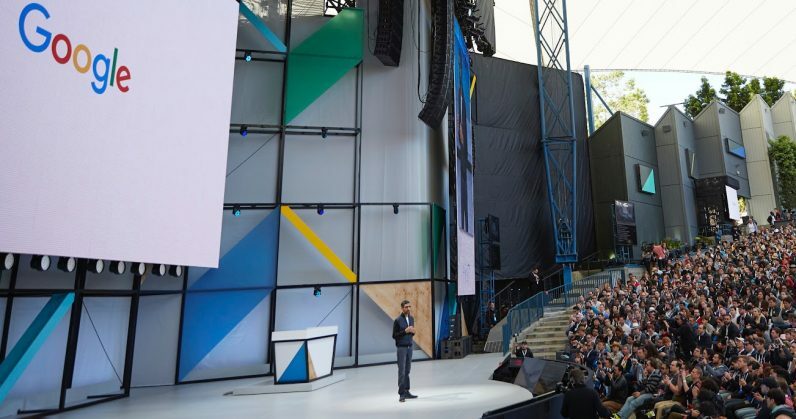 Google is set to kick off the 2018 edition of its I/O developer conference tomorrow, May 8, at the Shoreline Amphitheatre in Mountain View, California. We’re attending the event to get a closer look at what the company has in store. Here’s a quick run-down of what we’re hoping to see there. The next version of Android is slated to be officially unveiled at I/O, and we’ve had a chance to fiddle around with it since the preview dropped in March. Support for notches is coming, which means that developers will have an easier time getting their apps to look right on phones with camera cutouts on the display. There’s also native support for multiple cameras, so you can get Portrait Mode-style effects in third-party apps like Instagram. We’re also hoping to hear about AI-powered smart replies for chat notifications from your favorite messaging apps, better support for streaming HDR content, and a new Wi-Fi protocol that will allow for apps to provide you with precise indoor navigation assistance. There’s also talk of gesture-based navigation around the Android platform, a la the iPhone X and the OnePlus 5T. That should negate the need for the persistent navigation bar at the bottom of the screen, allowing apps to take up more room for an immersive experience on bezel-less displays. We expect that Google will drop a second developer preview with these features and more to play with. But more importantly, we’re hoping to finally hear what dessert-themed moniker Google is going for with Android ‘P’. There are already a bunch of options for enjoying Android TV in your living room, including Xiaomi’s $69 set-top box – but it’d be great to see Google shrink the platform into a dongle that hides behind your screen and update the interface so it’s even more comfortable to use than before. If Google’s been working on anything new on this front, where we’ll hear about it on day one. Google renamed Android Wear to Wear OS earlier this year, in the hopes of clarifying that its wearable platform is compatible with both Android and iOS. The developer preview for the upcoming version of Wear OS brings some battery optimizations and a default dark theme – we’re expecting to hear about more features and tighter integration with Google Assistant, especially since it’s been getting better with follow-up questions of late. The company has already added support for Actions that let you do things like turn on your connected oven, and the ability to hear responses to questions from your watch, just like on your phone. Wednesday’s Wear OS session should be exciting indeed. Speaking of Assistant, Google has been busy getting it work with more smart home products; it’s now compatible with over 5,000 of them, and covers most major brands in the US. It also now supports over a million Actions – including, most recently, booking movie tickets – which should see it compete strongly against Amazon’s Alexa. With Google Home speakers becoming more widely available across the globe, and Assistant-powered smart displays slated to go on sale this summer, it’s likely that we’ll hear a lot about what Assistant will be capable of in the coming months, at I/O. Google hasn’t been doing a great job of popularizing Android tablets lately: there aren’t many exciting devices to choose from right now. However, third-party manufacturers have been snapping up Chrome OS and baking it into their new tablets, and that’s a good thing for everyone. As we noted in March, Chrome OS can run virtually all the same apps as Android tablets, while also offering a much better web browsing experience, and built-in stylus support. With desirable devices from Asus and HP making their way to store shelves this year, we’re almost certainly going to see Chrome OS get some love on the I/O stage this year. I/O kicks off on May 8 at 10AM PT / 1PM ET / 7PM CET / 10:30PM IST. If you want to follow along with the action as it happens, point your browser to this page. The entire three-day schedule is over here; in case you miss a session on the livestream, you’ll be able to find it here shortly after it’s aired over on the Google Developers YouTube channel. And of course, follow our coverage here on TNW.